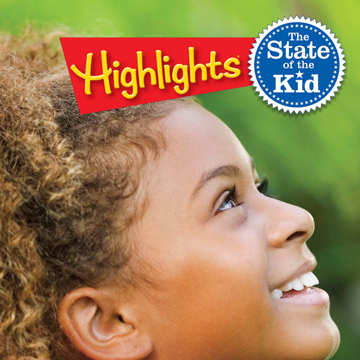 Highlights has always valued what kids think and have to say, and we regularly engage with kids in authentic dialogue, whether it be through Dear Highlights letters or our annual State of the Kid survey. 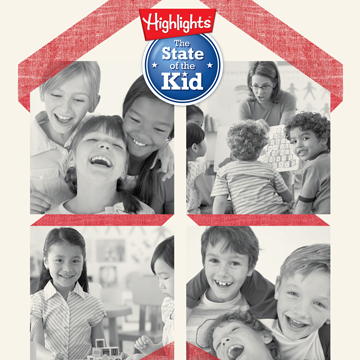 Listening to kids informs our work and supports our mission to help kids become their best selves. 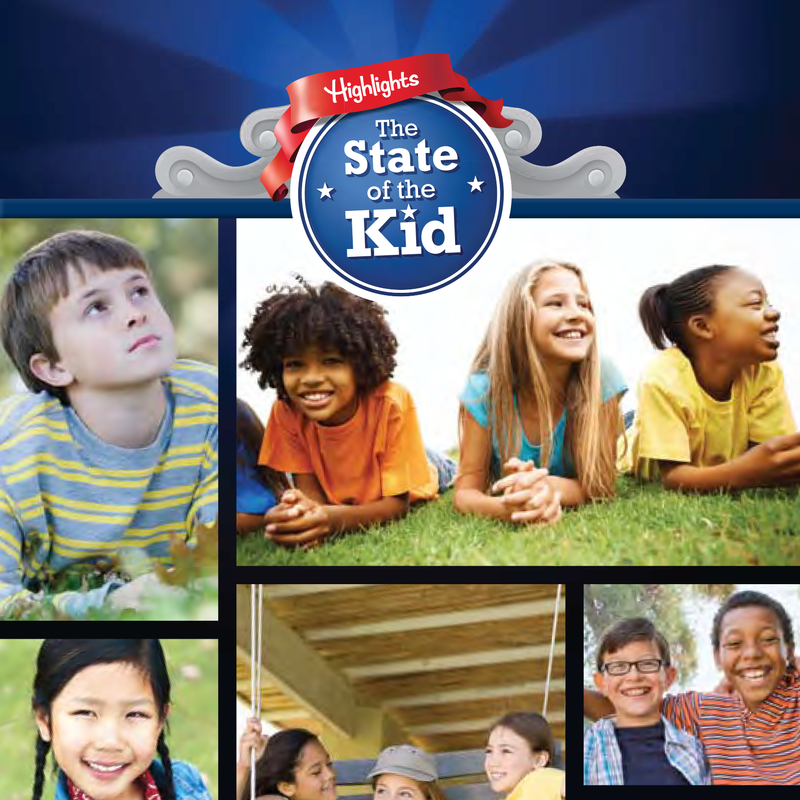 The State of the Kid survey gives kids a national platform on which to speak and share their thoughts and opinions on topics relevant at the time. Kindness and empathy were the themes of our 2017 survey. When asked “What do you think is most important to your parents, that you’re happy, do well in school, or are kind?” 44% responded “that I’m happy,” 33% answered “that I do well in school,” and only 23% said “that I’m kind.” We asked if it’s ever OK to be mean, with most kids agreeing that it’s never OK. They acknowledged that both kindness and honesty are important, but it’s more important to be honest. Since 2016 was an election year, our questions focused on the presidential race. We learned that a majority of kids talked about the election at home with their family, and kids wanted the newly elected President to focus on “keeping our country safe.” Surprisingly, 65% of respondents said they would not want to run for President due to the high pressure of the job. And who wouldn’t consider repainting the White House? 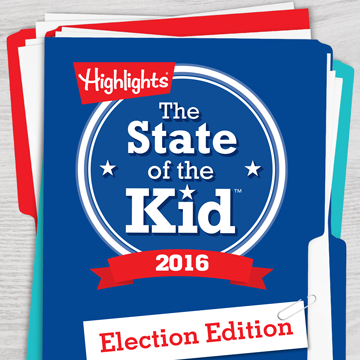 Thirty-six percent kids said they would want to paint it blue! 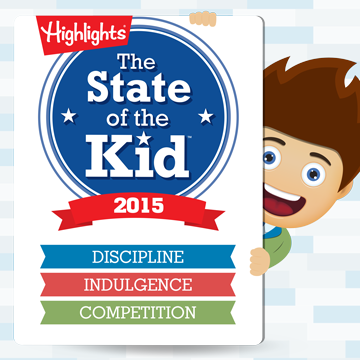 Behavioral topics like discipline, indulgence, and competition were the topics of the 2015 survey. Most kids agreed that discipline helps improve their behavior because it helps them determine right from wrong. When kids want to indulge themselves, about a third admitted they beg their parents for the special treat! But when it comes to competition, they mean business—most older kids (54%) said only winners should get trophies and awards, whereas younger kids (64%) said everyone should get recognized. 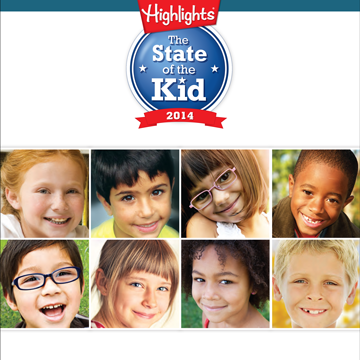 Kids answered questions about patriotism in our fifth survey. When asked if their home country is the best, 77.9% responded with a positive “Yes!” Kids also stated that freedom was the best thing about living in the U.S., and most felt that it’s safer to be a kid today than when their parents were little. 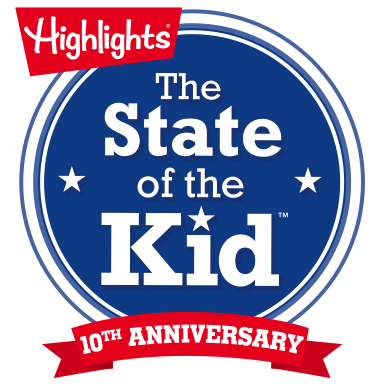 This year, we wanted to dive into the more serious topics of how kids view and interact with others, including the impact of bullying. 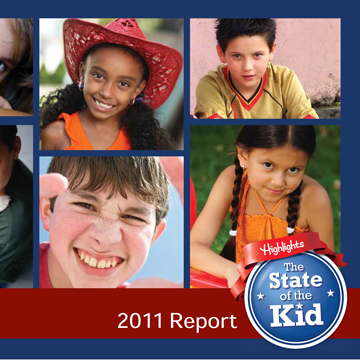 Sixty percent of kids said they had been bullied in the past; 55% said they’d tell a teacher or another adult if they saw bullying. 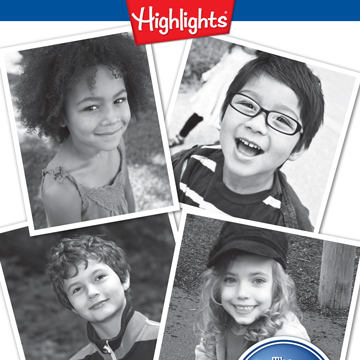 Our second annual survey focused on family life and the future. 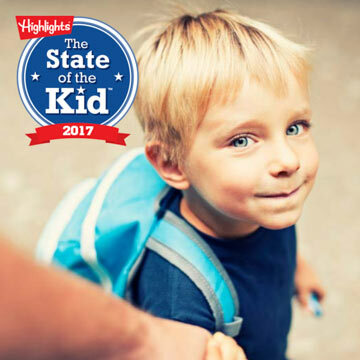 We learned that 60% of kids get an allowance, 9:00 P.M. is the most popular bedtime, and playtime is best spent with their parents! Our respondents shared fun ideas about the future—27% thought we’ll have new inventions like special cars, and 36% planned to travel to outer space!